Being a good salesperson is difficult. It is a matter of understanding the human psychology and the reasons why people buy. There is a tendency to think of the whole sales process (the sales “flow”) as a manipulative, deceptive thing. In truth, it can be. It is also an art and a science, trying to figure out the most efficient and effective way to convince people that what your company can offer is something they want and need. There is a reason why closing a high-stakes sale is called “making a kill.” It really is a ruthless market. So what is your plan of attack? 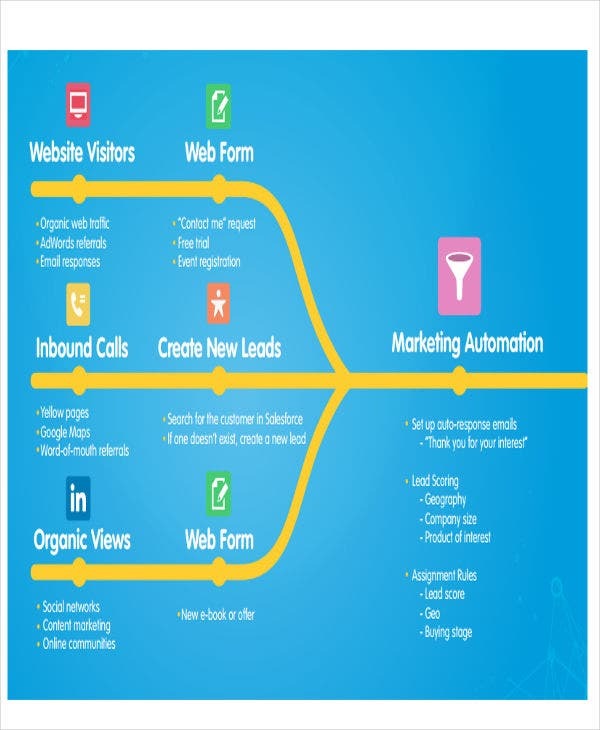 These Flow Chart Templates put into graphic form the various ways a sales process is carried out in any number of industries. After downloading them for free and studying the principles behind each step, you should be able to adapt the ideas to the sales flow of any business you are in. If you are training someone or yourself in the art of selling, don’t think you’ve got it all covered before seeing what these charts can offer you. 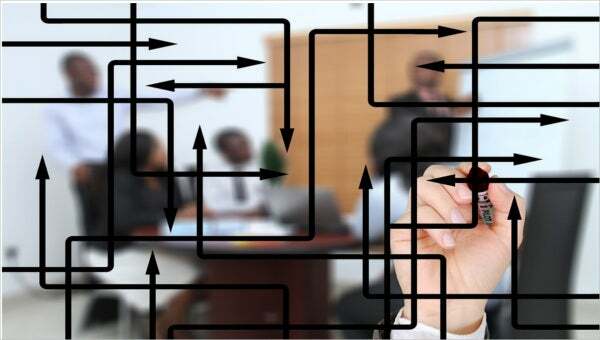 Why Use a Flow Chart for a Sales Process? When it comes to sales, there are times when you will have to start thinking on your feet to regain lost attention or to convince a difficult buyer. We are quick to glamorize these daring moves of last-minute serendipity, opportunistic behavior, and innovation. What we don’t realize is that a good salesperson is only able to think on the fly by building on a solid sales process set beforehand. It is a process that has been practiced so many times as to be hardwired. How do you train a new sales executive in the particular, hard-won process that is working for your company? 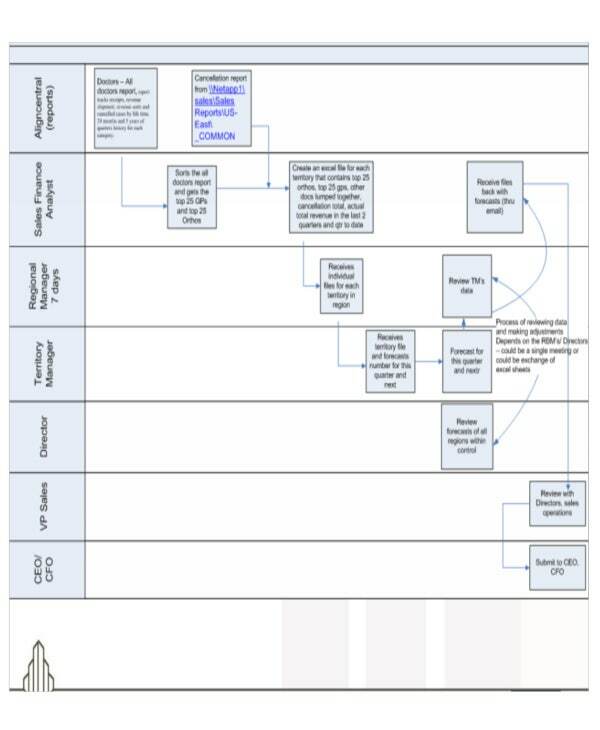 You have to break down the process into its key steps and organize it into a Process Flow Chart Template, much like the ones on this page. Download a few examples for free and study them. See how they compare or differ from your own process and use these examples to design your own chart. What Kind of Sales Are We Talking About? 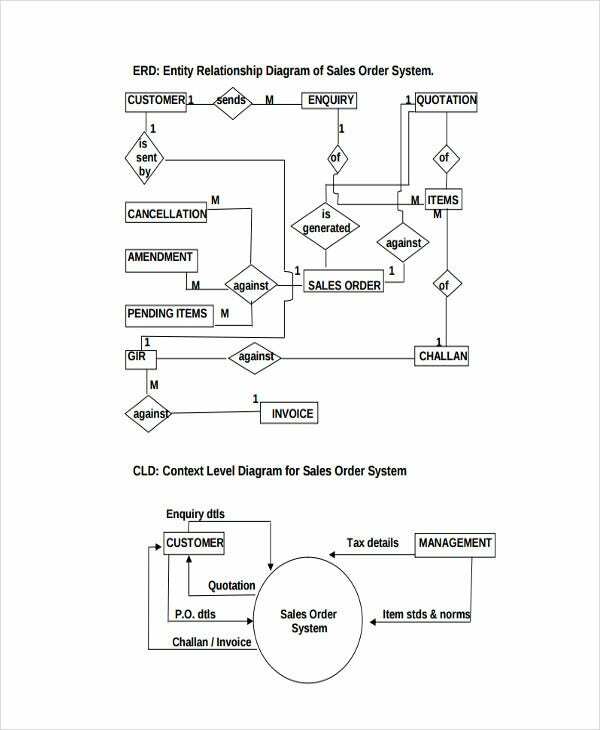 Sales Order Flow Chart Template lays out the procedure for managing an order system. 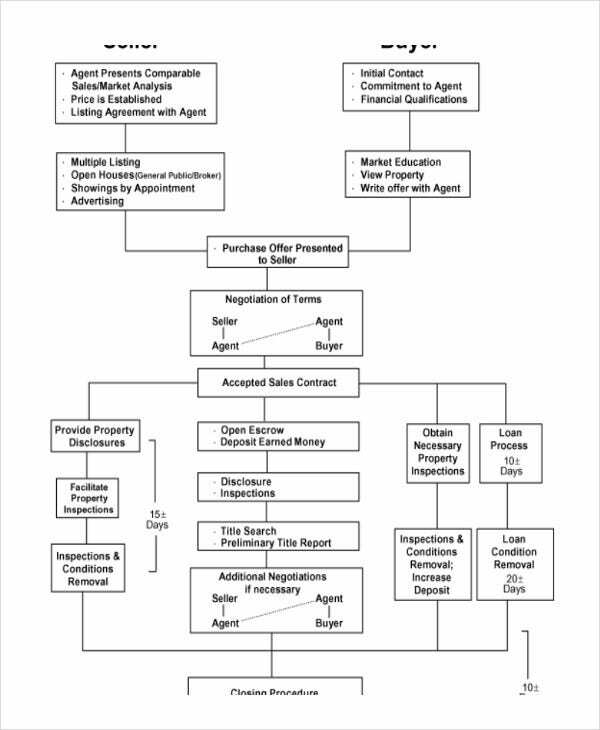 Real Estate Sales Flowchart Template is a full top-down look at property dealership. 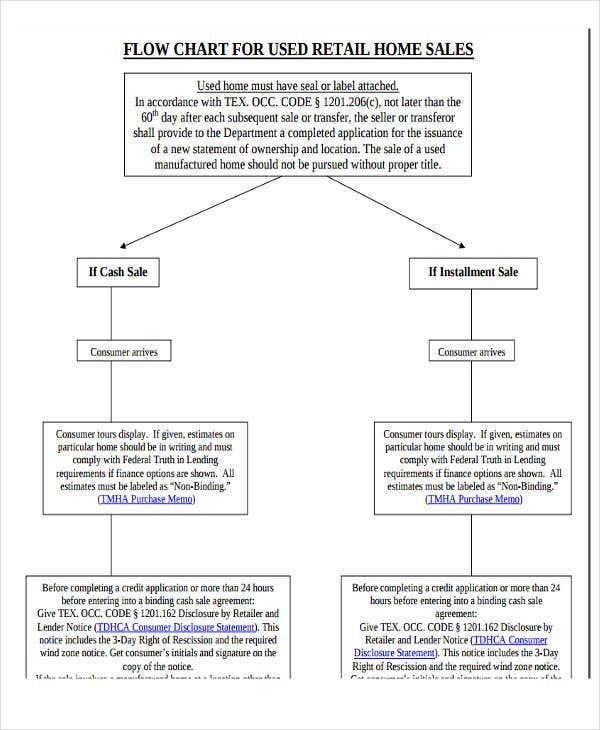 Also see Retail Sales Flow Chart Template for used retail home sales. 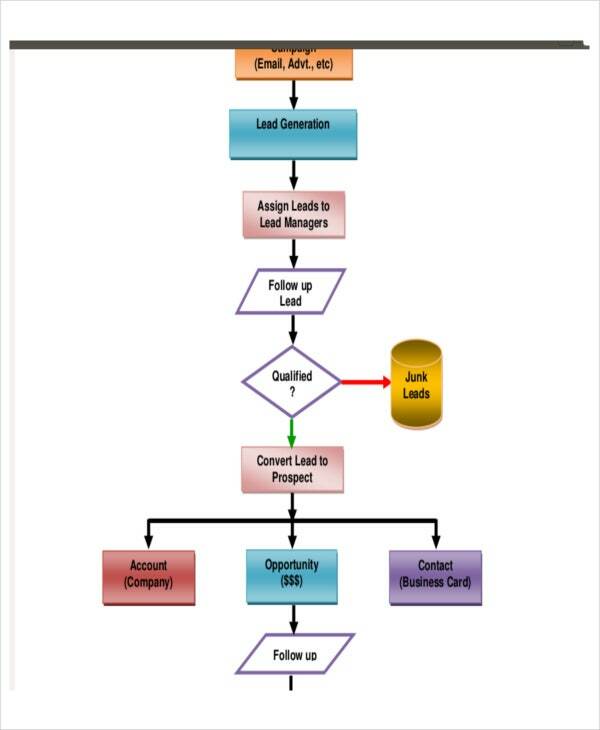 Sales Management Process Flow Chart Template will help you manage the overall sales process. The other templates will be helpful for any general sales process. These are sales charts, and naturally, they have been created by actual salespeople to document their own methods for reference and for training. 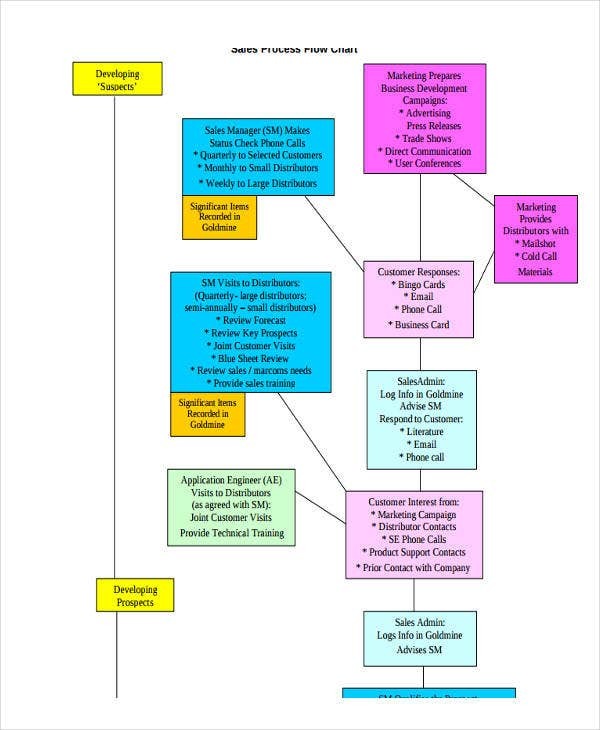 Whether your company is in sore need of streamlining or developing a solid process or you are looking to develop a flow chart for your own set techniques, these Free Flowchart Templates can show you ways to do that. Not only will you get ideas on organizing the data, but, who knows, maybe one of these charts will help inform your own process in the meantime. They’re all free to download. It’s a win-win.